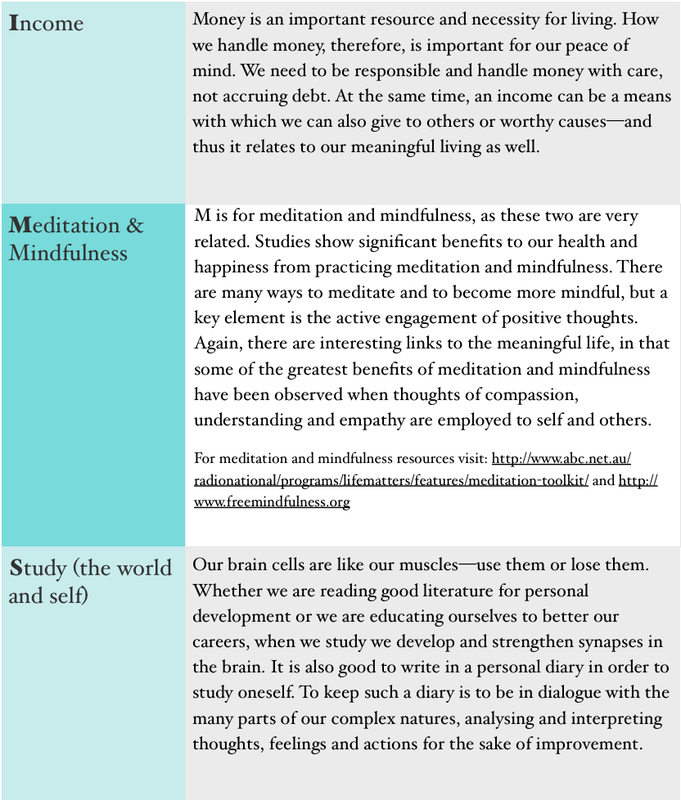 Research shows that in order to be able to give to others effectively—to live the meaningful life—we also need to give to ourselves (Post et al., 2007). In fact, if we don’t give to ourselves properly, we not only find it harder to give to others, but we also don’t receive the same health benefits from our giving. When we fly, we are told that in the event of emergency to put on the oxygen masks ourselves before we attend to others. In the same way it is hard to give to others if we don’t give to ourselves sufficiently of the ‘oxygen’ needed to be able to share of ourselves. 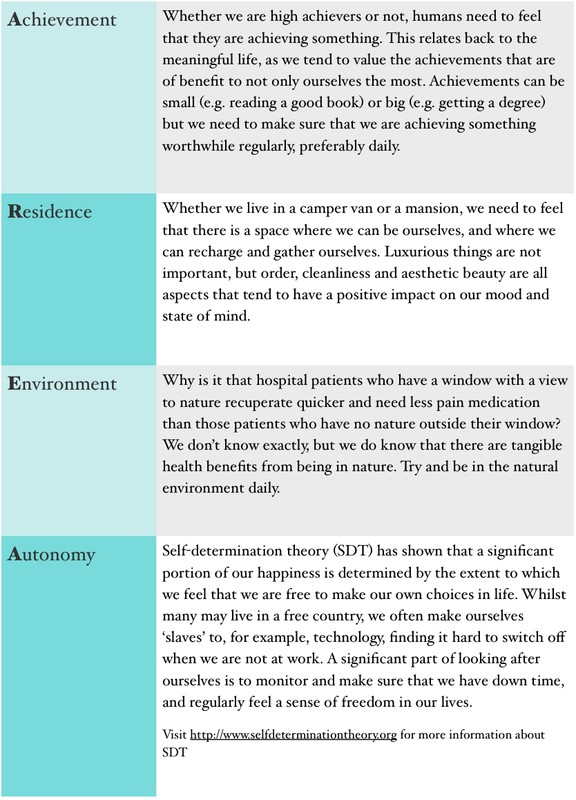 Helpful ways of being aware of how to give to and look after oneself are captured in the acronym SELF CARE AIMS. All of these strategies have a strong evidence-base in the literature. In other words, they work! Most of us do not have all of the above areas in perfect balance all the time. 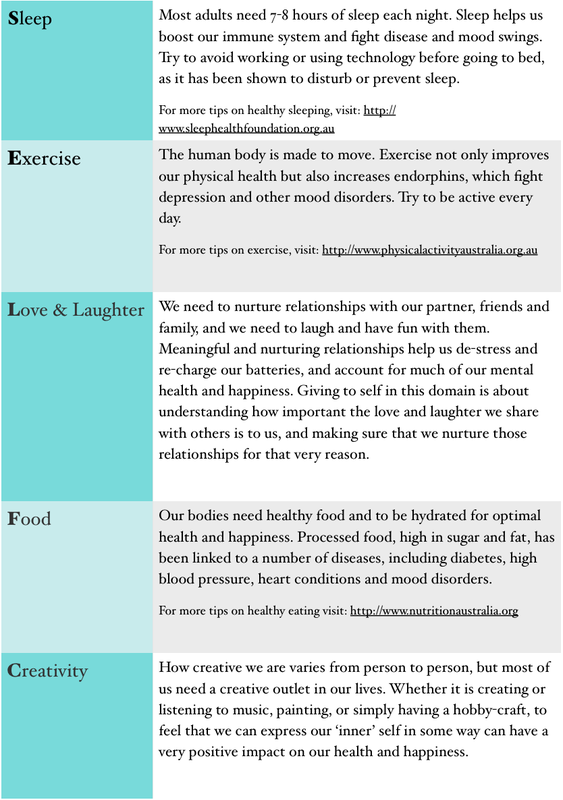 But if we are at least aware of the key elements we need to look after, we can consciously work on having balance in these domains over time, rather than in any particular moment. For example, we may be behind with exercise one week but if we are aware of that, we can catch up the next. The SELF CARE AIMS help us to be aware of what we need to juggle in order to be healthy and happy—even if it is a ‘balance in motion’ most of the time.